Reign of Error: The Hoax of the Privatization Movement and the Danger to America’s Public Schools (©2014) by Diane Ravitch takes on the private-sector school leaders and the political officials behind our current reform movement. Diane exposes the many myths that have driven reform, and supplies solutions that we should seriously consider. 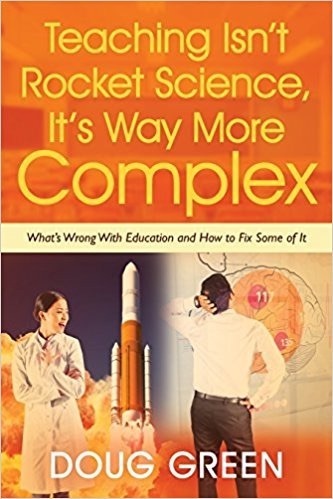 If you want to know what’s wrong with education reform this book is a must. Be sure to click at the bottom of any page to get copies for concerned educators and parents you know. Diane is a research professor at New York University. She served as Assistant Secretary of Education for Research for George H. W. Bush, and was appointed to the National Assessment Governing Board by Bill Clinton. She is the author of ten previous books. In 2011, she received the Daniel Patrick Moynihan Prize from the American Academy of Political and Social Science. She has an excellent blog at DianeRavitch.Net and is active on Twitter @DianeRavitch. Politicians on both sides along with our media seem to agree that public education is broken. This has feed the ideas that we need to close schools and fire a large number of teachers and administrators. It wasn’t until Diane saw the corrosive effects of No Child Left Behind (NCLB) legislation that she recanted her support for high-stakes testing, test-based accountability, competition, and school choice via charter schools and vouchers. NCLB’s unrealistic goals have turned reform into a privatization movement, which was probably the intent of many of the bill’s supporters. Diane claims that what works is what well off parents do and expect schools to do. This includes rich programs in the arts, physical education, libraries, well maintained schools, small classes, and after school programs where students can explore their interests. There should be a joyful pursuit of play, time to sing and dance, and draw. Diagnostics should focus on what students know, and what they need to learn next. These same parents supply learning opportunities before and after their kids start school unlike poor parents who generally have less education themselves. Diane points out that much of the rational for NCLB was based on a Texas Miracle that never existed. The law’s impossible goals guaranteed failing schools that could be closed so the students could be shifted to charter or private schools, and first among the failing schools were those that served poor and minority children. Charters were supposed to innovate and share success with public schools. Due to the competitive nature of the reform movement, however, sharing between schools doesn’t happen much. It wasn’t long after NCLB passed that teaching to the test, narrowing the curriculum, and outright cheating became common proactices. Rather than fix NCLB when it was up for reauthorization in 2007, Congress did nothing, which left an opening for the Obama administration to introduce Race to the Top (RTTT) in a unilateral manner. The only real difference between the two was that RTTT introduced the use of test scores to evaluate teachers. It also put more emphasis on competition as a means of allocating federal funding. This entry was posted on Monday, March 23rd, 2015 at 7:04 am	and is filed under Book Summaries, Education Books, Leadership Books. You can follow any responses to this entry through the RSS 2.0 feed. You can leave a response, or trackback from your own site.